Club Cinema and IMAX Theatre Open at SM Megamall’s Mega Fashion Hall - Hello! Welcome to my blog! 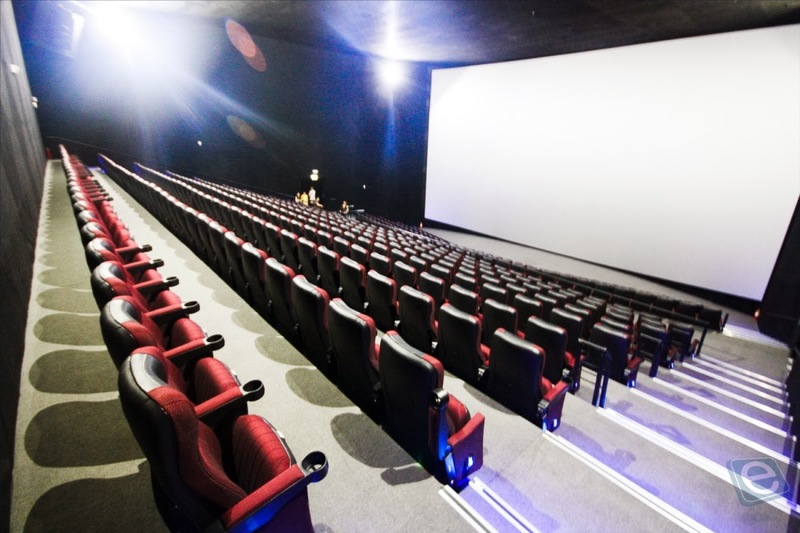 SM Cinema, the largest cinema exhibitor in the country to date, unveiled a Director’s Club Cinema and an IMAX Theatre in the newest expansion of SM Megamall in Ortigas—the Mega Fashion Hall—last January 26, 2014. The Mega Fashion Hall—a high-end wing which will house trendy, global brands from food to retail--will make an apt location for Director’s Club Cinema and IMAX Theatre; the two cinemas boast of sophisticated and world-class facility and service. Director’s Club Cinema is an intimate, deluxe theatre specializing in above par personalized service for every movie-lover. Equipped with superb projection equipment and the latest technology in digital surround sound, Director’s Club Cinema has first rate acoustics and a crystal-clear digital screen. Just like a regular cinema for every movie goer but well-appointed and elegant, Director’s Club Cinema employs comfortable reclining chairs and offers delicious eats to accompany movie-watching served by trained in-house butlers. The concept of Director’s Club Cinema is also being applied in theatres in the United States and such cinema facilities have become a luxe fad for American movie-goers. While other Director’s Club Cinema branches offer 30-50 seater theatres, the Director’s Club Cinema at SM Megamall will have 56 chairs while maintaining the exclusive, intimate ambiance. This branch of Director’s Club Cinema is also the biggest of its kind in the country. The IMAX Theatre in SM Megamall, on the other hand, is the eight IMAX theatre to open in the Philippines. Perfectly situated within a bustling business district, the IMAX Theatre in SM Megamall features 472 seats with provisions for PWDs. IMAX is designed to fill one’s field of vision and engulf one in cinematic surround-sound so powerful it is almost tangible. The screen is several times larger than a standard theatre screen and is slightly curved with seats angled, allowing audience to have an unobstructed view of the movie screening.